The first major honour of the 2016 summer season will be decided tonight when holders San Ġiljan Salini Resort clash with rivals Neptunes Grimaldi in the BOV Knock-Out final at the National Pool. The Premier Division showdown is the highlight of today’s programme which also comprises the finals of the First Division and women’s Knock-Out competitions. For San Ġiljan, the cup now represents their best chance of silverware this season as their hopes of retaining the league title are hanging by a thread. A 10-6 defeat to Neptunes last Tuesday left Marko Orlovic’s men four points behind their Balluta Bay rivals with only two matches left to play. Surely, San Ġiljan must up their game significantly against the in-form Neptunes if they are to capture their ninth KO title. Last year, the Saints relied on their collective acumen and resilience to edge out Neptunes 13-12 in a thrilling final. Orlovic will demand more from his team, especially his leading players as Serbian Boris Vapenski only managed one goal in the league defeat to Neptunes while captain Matthew Zammit failed to get his name on the scoresheet. The Saints could only convert three of nine extra-man sets besides missing a string of open scoring opportunities in what amounted to a below-par performance. Not so can be said of Neptunes. They come into today’s final in confident mood as they enjoy the upperhand over their neighbours in head-to-head meetings this season. Apart from their midweek success, Neptunes had already beaten San Ġiljan 15-5 in the preliminary round before drawing their first Premier Division encounter 11-11. 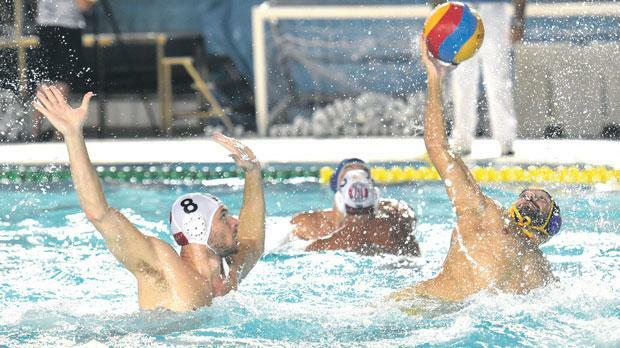 San Ġiljan had defeated Neptunes 6-5 in the platonic President’s Cup match. The Reds, led by Montenegrin coach Zoran Maslovar, will again bank on the scoring prowess of Steve Camilleri, who hit four goals in midweek, and their rock-solid defence, well marshalled by Niki Lanzon, Jordan Camilleri and Cosmin Radu, and Alan Borg Cole in goal. Neptunes, who have won the KO a remarkable 22 times, overcame Sirens Ritter Sport 12-7 in the semi-finals while San Ġiljan eased past Exiles Jetfreight 20-8. In the First Division final, Marsaxlokk start as favourites to complete a league and cup double when they take on Marsascala. On Wednesday, Marsaxlokk wrapped up their championship title in impressive fashion, beating Ta’ Xbiex Amigos to finish top of the standings with a perfect 36 points from 12 games. On the other hand, Marsascala will be going all out to save their season by lifting the KO trophy. They will be looking to Gabor Kovacs, who struck five goals in Wednesday’s resounding 18-11 defeat of Otters, to prove the spark and firepower as they seek to inflict the first defeat on Marsaxlokk this summer. This evening’s proceedings get under way with the women’s final between Sliema Betsson Group and Exiles Jetfreight. National Pool: Women’s KO final –17.00 Sliema vs Exiles. Division One KO final – 18.15 Marsascala vs Marsaxlokk. Premier Division KO final – 19.30 San Ġiljan vs Neptunes.